As with any technology, the vehicles we drive are getting more and more advanced. There is a growing shift to fully electric cars, but the availability and affordability of them seems to slow their popularity, at least for now. The best alternative to traditional internal combustion engine cars are hybrid cars. 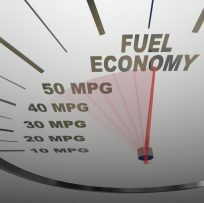 We all know that they boast cool electronic gauges, sleek looks, great fuel economy and are good for the environment, but many of us don’t really know much about the technology that makes them work. Here are three basic things to know about electric batteries for cars. Hybrid vehicles are called such because they combine electric car technology with traditional car technology. Hybrid cars run from gasoline and 12 volt lead acid batteries just like traditional vehicles do, but they also run from another source. This is the electric battery, and the switch between the two power sources is seamless, so a driver will not know when the change takes place. The way the battery holds its charge is what is referred to as regenerative braking. When the brake pedal is pressed, part of the energy produced charges back to the electric battery. This switch is the reason that hybrid cars get such great fuel economy and do less damage to the environment. Since hybrid cars do not constantly run from the gasoline source, they are 20% to 35% more fuel efficient than traditional cars which saves the driver money on gas. Furthermore, the fact that they don’t always run from the gasoline source means that hybrid’s release less harmful emissions which is better for the environment. By now, you’re probably aware that hybrid batteries are known for their tendency to fail. A hybrid battery warranty is typically eight years or 100,000 miles, but hybrid batteries don’t always last even that long. Since a hybrid car cannot function without the hybrid battery, this means that hybrid owners will inevitably have to look into hybrid battery replacement which is notoriously and prohibitively expensive. But there is good news. These days since technology is still advancing, hybrid batteries do last longer than they used to, and there are many more replacement options than there were before. Third party battery providers also work on producing quality and long-lasting hybrid batteries, so you are not limited to going to your dealership for replacement.